Have you ever seen real ants with rainbow-colored abdomens? 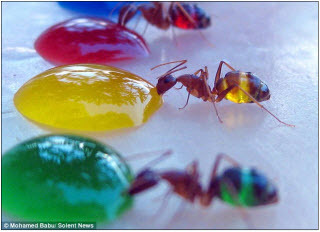 Mohamed Babu is a scientist living in Mysore, in South India, and he was able to make ants' abdomens turn different colors by feeding them different colored sugar drops. Mr. Babu's wife noticed a few ants' abdomens had turned white after they had eaten spilled milk. She told this to her husband and Mr. Babu decided to run an experiment! He combined sugar drops with different food coloring and put the drops out in the garden for ants to eat. When the ants came and ate the different colored liquid, their abdomens turned the color of the sugar drops they were eating. And if they ate from several different color sugar drops then their abdomens showed those different colors as well. 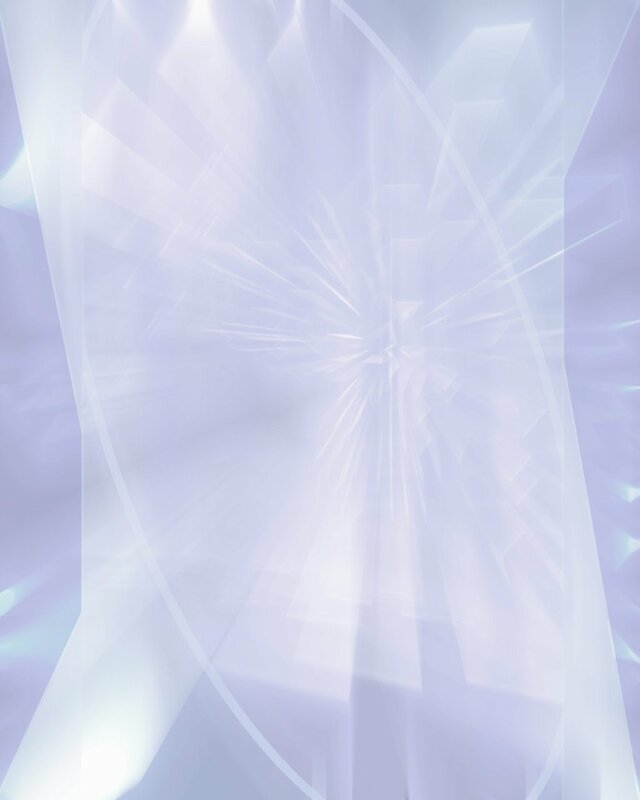 Click here to read the article written by a Daily Mail reporter in England. The article tells the whole story and has more pictures of the rainbow-colored ants.